What is Keratoconus? 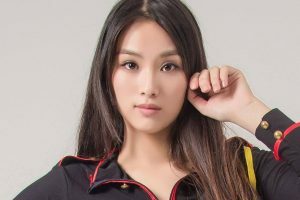 Consult Our Eye Doctor in Winter Park Now! Your cornea is the transparent, outer lens of your eye, and it typically has a smooth dome shape. Keratoconus describes a condition in which the corneal structure isn’t strong enough to maintain a healthy ball shape. As a result, the cornea bulges outward into more of a cone. Our professional optometric team at our eye care clinic in Winter Park, FL is knowledgeable about how to diagnose and treat keratoconus. In addition to genetics, some types of eye injuries may increase your chance of being diagnosed with keratoconus. Specific ocular diseases, such as retinitis pigmentosa, vernal keratoconjunctivitis and retinopathy of prematurity, as well as some systemic conditions (Down syndrome, Ehlers-Danlos syndrome, Leber’s congenital amaurosis and osteogenesis imperfecta) are also associated with this corneal abnormality. Our eye doctor in Winter Park, FL will inspect carefully for the signs of keratoconus during your comprehensive eye exam. It’s critical to inform us of any symptoms that you’ve been experiencing. To diagnose the condition, we’ll measure the shape of your cornea. Computerized Corneal Topography is used for this procedure, which takes a picture of your cornea and analyzes it instantly. Onefit is prescribed for keratoconus and other irregular corneas for comfort and unequalled vision for all wearing hours. Hydrating comfort, crisp, clear visual acuity and superior lens stability make Onefit™ ideal for active individuals and dissatisfied soft toric lens wearers. 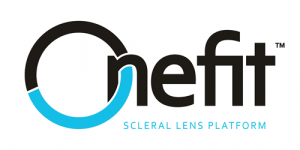 The Onefit Scleral Lens is unique and specifically designed for corneas with a normal prolate profile, with or without astigmatism and post graft corneas. If you are interested in learning more about Keratoconus, contact Aloma Eye Associates at 407-671-3100.